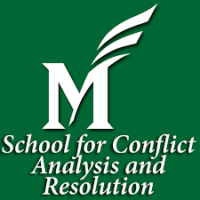 I attended the Association for Conflict Resolution (ACR) conference last week in order to learn more about up-to-date tools used by mediators for my book and to begin the soft launch of a new initiative being led by ACR, the Alliance for Peacebuilding, George Mason’s School for Conflict Analysis and resolution, and Rowman and Littlefield publishers. We have all decided that we need to expand the work that is being done so that win/win conflict resolution and the like become more central components of everything from our popular culture to our political decision making. We have a pretty good idea of what the problems we face happen to be. What’s less clear–and what this initiative will address–are the unique skills we “bring to the table” and how we can best put them to use. While there, I listened a lot and gave two short talks which I’ve summarized here. Because as my friend Fred Krawchuk likes to put it, we all have very different “skin in the game,” I decided to start by sketching out ideas for a common point of departure that we could all use, I started with ideas I drew from outside all of our fields, three of which seemed to get some traction. If you aren’t part of the problem, you can’t be part of the solution. Unlike the line we chanted in old days, Chugh is begging us to understand how we peacebuilders contribute to the perpetuation if not the creation of the problems we face. Second City is best known for its improvisational humor. It also runs a highly successful corporate consulting group that helps C Suite executives use improv to help their work. As in their comedy routines, Second City never encourages people to reply to an idea with “yes, but,” which is a turn of phrase we academics know all too well. Instead, they keep conversations going and make them funny by replying “yes, and” instead. Today, however, we face dozens of issues in which we have to say “no.” even us peacebuilders. All too often, we say “no, but” and deepen our criticism of the other side. We know a lot less about “no, and,” that could and perhaps should be the basis of how we deal with people we disagree with which, in my case starts with the Trump administration. I’m not sure one would ever actually use the phrase no, and the way Second City uses yes, and. However, findings ways of disagreeing with people and opening the door to collaborative problem solving seems an idea well worth pursuing. Perhaps because it already has a working relationship with both ACR and AfP, Rowman and Littlefield approached both organizations to see how we could expand the field(s). To that end, we hosted a dinner with ACR thought leaders at its conference last week. We will turn the results of that discussion into a one page document which we will use at a similar dinner at AfP’s conference later in the month. After that, all of us will sit down and begin to develop new publishing initiatives. We will also develop ideas for new kinds of programming, some of which we will be able to start right away. Most will require more in-depth discussions with a wider range of concerned parties, ranging from elementary school teachers through alternative dispute resolution lawyers and maybe some athletes and others to boot. We plan to do this at a conference we will host at George Mason’s lovely Point of View retreat center in May of next year. All sorts of cool projects are underway around the United States and, indeed, around the world. Our job is not to create new ones. Rather, we should find ways of taking those efforts to scale, including putting their leaders into contact with each other so that we can produce the kinds of cultural and political changes we want. We will need to reach out to other communities where ideas like ours are widely held but whose members rarely think of themselves in either conflict resolution or peacebuilding terms. This will require a massive publicity campaign. Given Rowman and Littlefield’s participation, that will start with books, including monographs, guidebooks, a handbook for the entire field, and more. 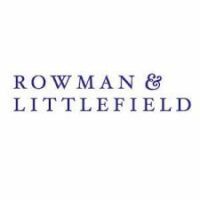 But it will involve much more than books, which Rowman and Littlefield ironically understands better than the rest of us because its leaders realize that they will have to embrace a multi-media approach of which the publication of books is just the beginning. We literally are at the very beginning of an effort that I assume will consume the rest of my professional life, and we know that we have a lot to learn.